Trent Carlyle, Alma Asay, Mike Dalewitz, and Rob Feigenbaum talk about how their companies are encouraging innovation. 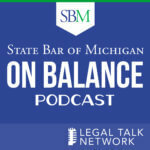 Alma Asay discusses how she started and sold her legal technology startup and the experience she faced when working with lawyers as clients. Alma Asay, Nehal Madhani, and Ned Gannon on the Alt Legal Innovation Awards and advice for entrepreneurs looking to refine their product marketing process. Allegory Founder and CEO Alma Asay talks about litigation management and how new software can greatly improve the litigation process.